Low growing hardy correa suitable for most soils and situations. A hybrid possibly between C. pulchella x C. reflexa. 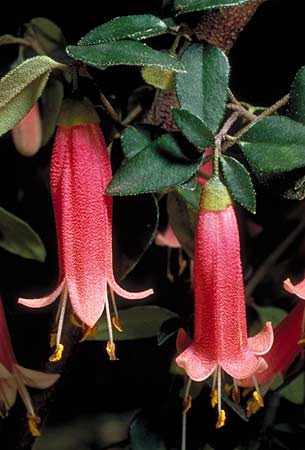 It has medium green leaves and dusky-pink tubular flowers. Once established appears to be long-lived. Pefers partial or deep shade but will grow in full sun. Attracts Hummingbirds.